Nick Gibbs is a UK correspondent for Automotive News Europe. 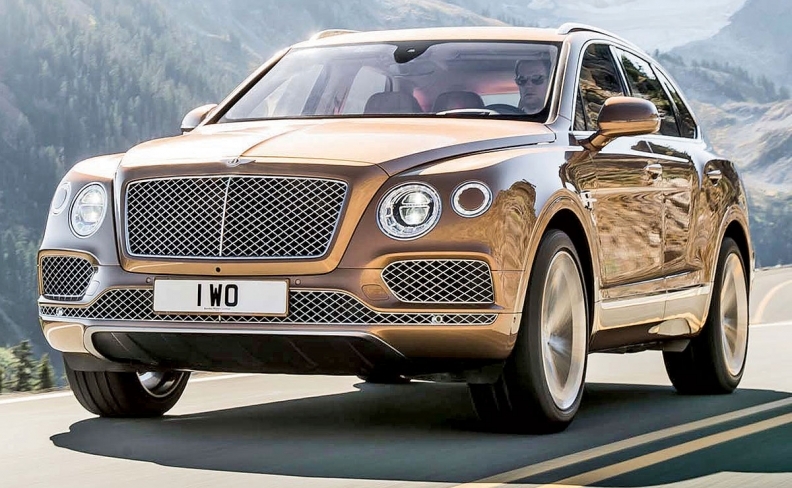 Driving the Bentley Bentayga shows just how sophisticated self-driving technology has become. It also reveals how much further autonomous driving features have to go before automakers and lawmakers will confidently allow drivers to remove their hands from the wheel. The Bentayga SUV's self-driving features are not as advanced as the Level 3 Traffic Jam Pilot hands-free system on the new A8 sedan from Volkswagen Group sister brand Audi, but the A8's system is not yet available. Until then, the Bentayga's autonomous features are among the most advanced in a car on the road. Adaptive cruise control is becoming more common, but the Bentley includes a function that changes speed in line with local speed limits by reading road signs. With proper signage this works well, blending into the new speed rather than slamming on the brakes. Local law enforcement could take issue with this relaxed changeover period to a new speed, but it better reflects how most of us drive. The Bentayga's Traffic Assist technology is one below the Traffic Jam Pilot that Audi says will let a driver answer emails in freeway jams up to speed of 60 kph (37 mph), but Bentley's tech feels pretty close to that already. It uses a combination of a camera, radar sensors and ultrasonic sensors to gauge where the car is in relation to the lane markings and the car ahead to follow a set distance behind. I found I could take my hands off the wheel for a minute at time before I got a warning beep. The only thing it wouldn't do was drive off automatically from standstill after the traffic restarted. Also included on the Bentayga I tested was Night Assist, another technology shared with Audi, this time using an infra-red camera to identify pedestrians from their body heat. Pedestrians were projected in yellow within a black and white landscape on a screen in front of the driver, turning to red if there was any danger of running into them. A couple of people walking close to the edge of the sidewalk did turn red, but they weren't close enough to activate the brakes. The effect was more distracting than helpful given it took your attention from the road ahead but it did remind you just how much the modern car can be made to see. Limitations to this part-autonomous technology are manifest. For example, the Night Vision doesn't work when the temperature climbs over 28 degrees Centigrade (82 degrees Fahrenheit), presumably because of all the false positives in the heat. Away from the motorway, the clever lane-reading technology is quickly out of its comfort zone. I drove the car through England to its mountainous Lake District, and once off the motorway, the lines that showed green in the head-up display to indicate it knew where the lane boundaries are flickered on and off, then disappeared altogether once the roads really tightened. There's plenty of discussion of how difficult urban situations will be for fully autonomous cars, but a rural environment like the Lake District with its projecting stone walls and terrible visibility will be similarly tricky. Miles and miles of single track roads require you to back up to the previous passing place to let another vehicle by, and in a car the size of the Bentayga you need to make very human judgements a computer couldn't possibly manage. For example: I can brush against a bush next to the road with its soft leaves to create more space, but not against a thorny one (not with the very expensive special paint option). Will programmers need to install plant recognition software? Car-to-car communication would solve that by warning you ahead of time a vehicle was coming round that bend and to stay in that passing place, but first you would need to solve the problem of terrible cell-phone reception in the Lake District. One thing is for certain – for all its distance to a fully hands-free future, the Bentayga's current level of autonomy feels luxurious and entirely in keeping with the brand.